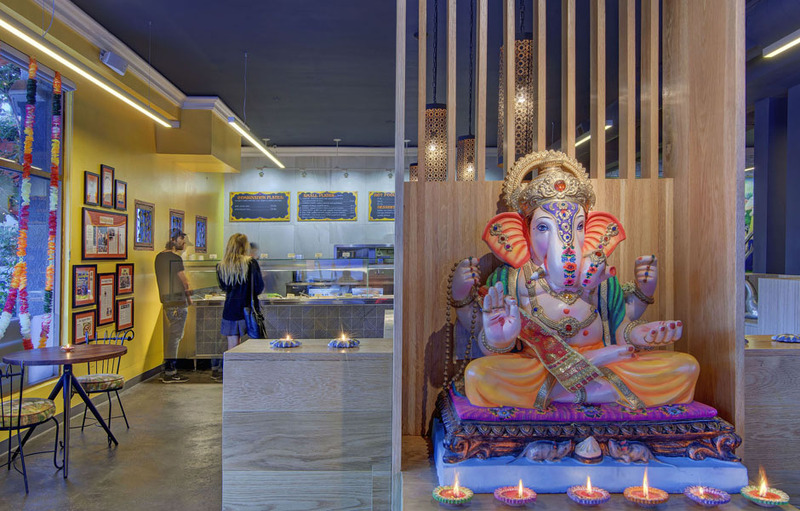 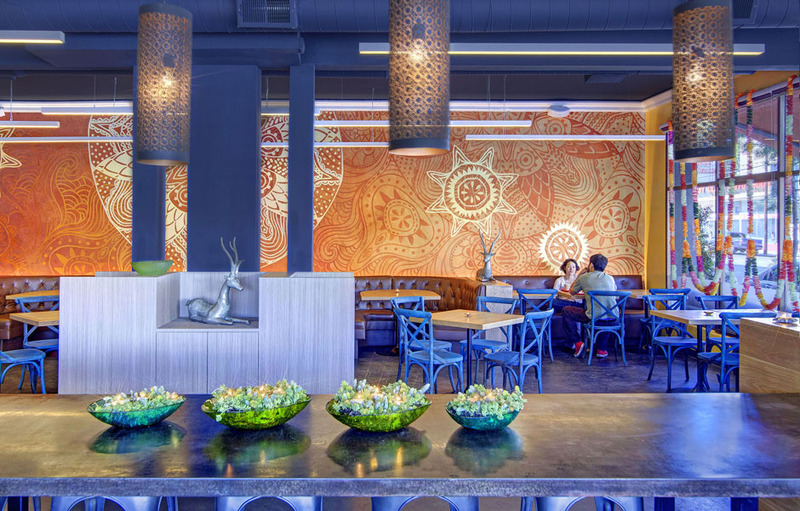 DIGBAR creates a third space for Samosa House as they venture into a prime Sunset Blvd. 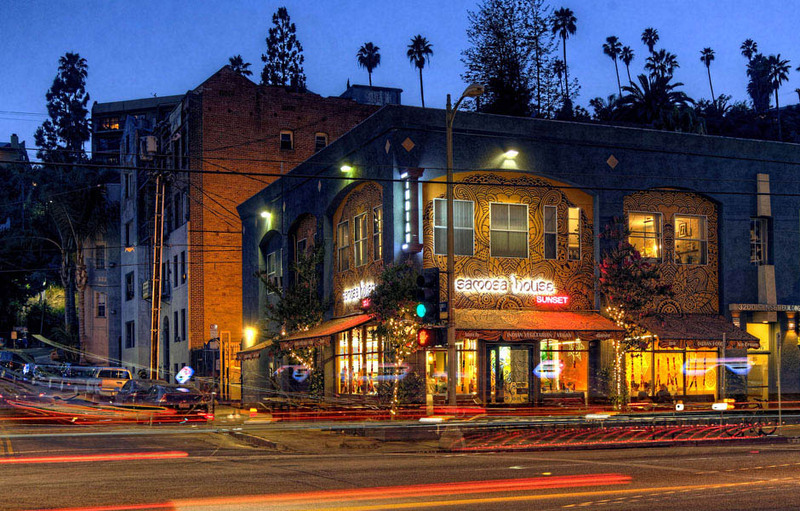 location in gritty Silver Lake. 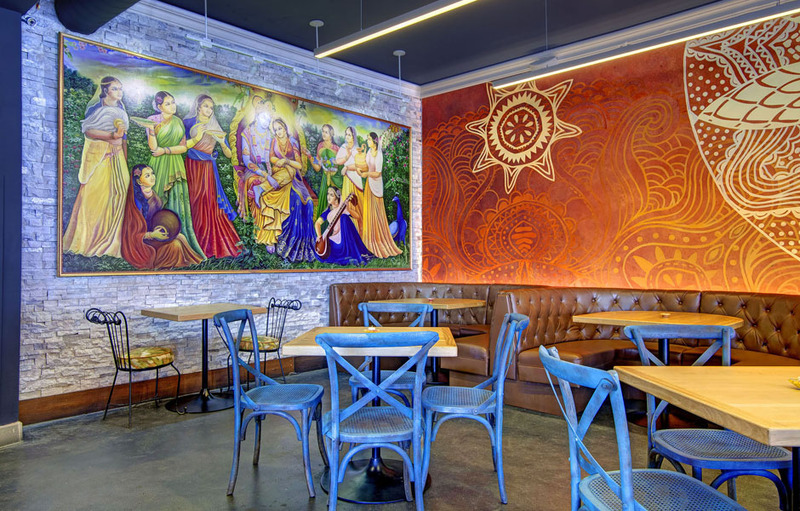 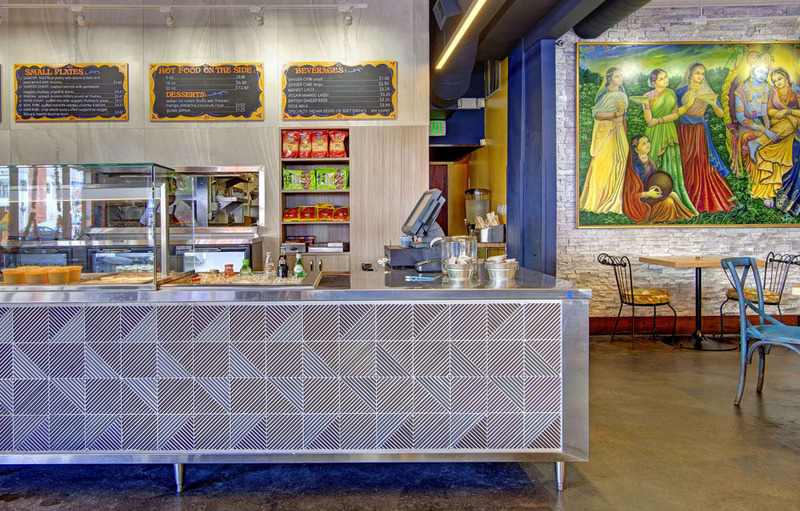 In this variation of the prototype, mural artist Jay Fisher impacts the interior space and the streetscape with a contemporary rendition of a traditional Indian pattern. 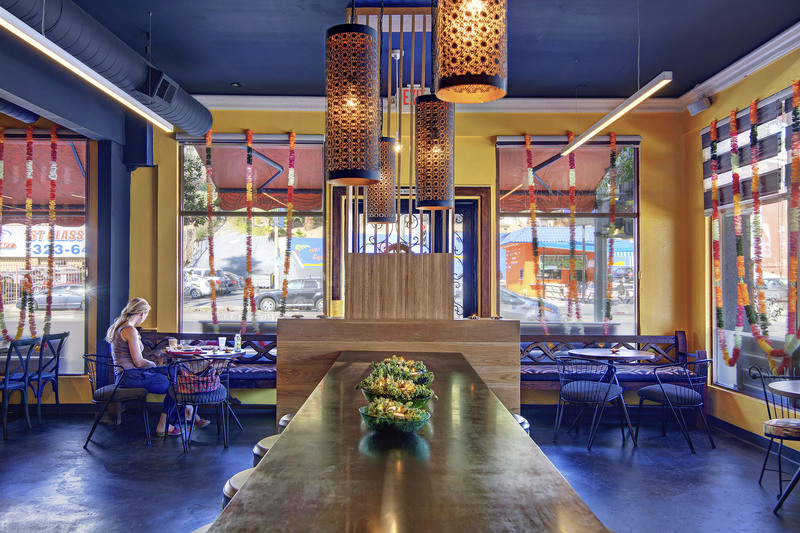 The dramatic, yet gentle use of color and material craft the dining space into a comforting sanctuary from the city outside.